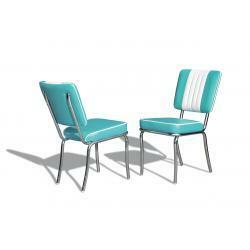 Create a true fifties look with our retro chairs. The bright colours and chrome finish are the characteristics of the ultimate Bel Air fifties and vintage look. 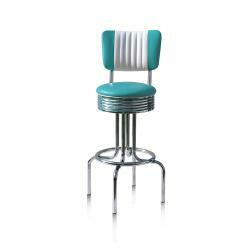 With our retro bar stools, you’ll feel transported back to the world of rock 'n roll and American diners. The Bel Air bar stools in bright colours take you back to the 50s. Have a seat and relax on our retro sofas. 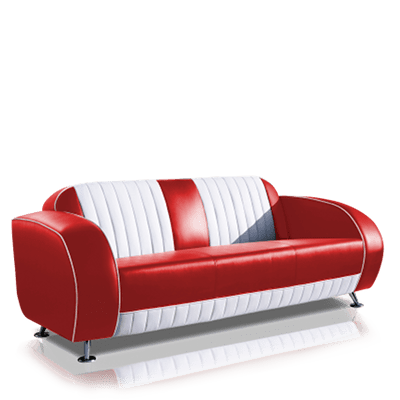 With their bright-coloured leather and chrome feet, these sofas create a true fifties look in your interior. The sofas are available in eight colours. 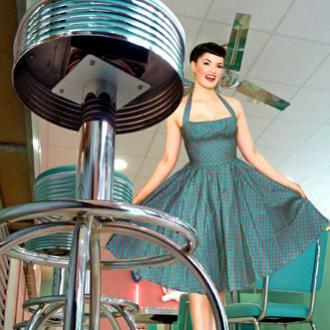 Transform your home’s or establishment’s interior into an American 50s décor with our retro booths. The booths are available in various models, sizes and colours. 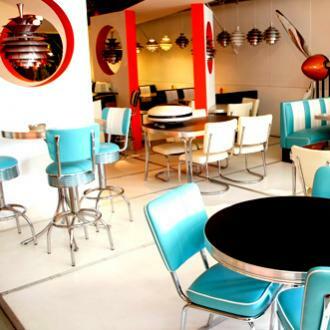 At Jolina, you’ll find a variety of retro and vintage tables, from large dining tables to small coffee tables. 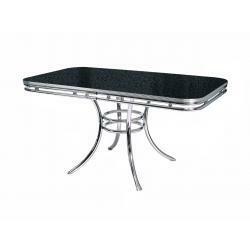 The Bel Air tables with chrome edging match perfectly with the other retro furniture. 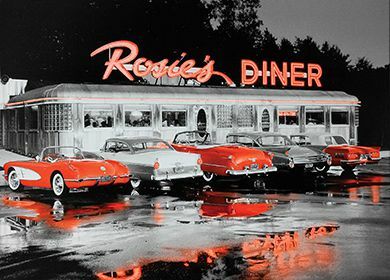 We will gladly help you create the most beautiful, stylish fifties look possible in your home, restaurant or American diner. Jolina had all the retro furniture we needed and their staff’s assistance was excellent! 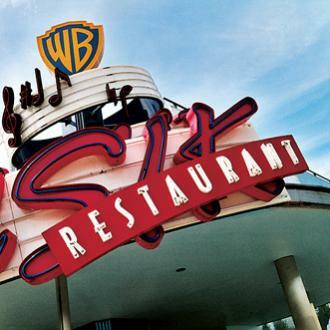 Thanks to that, setting up our American diner was a big success. We supply furniture for your home or business. The solid construction of our Bel Air furniture makes it perfect for long years of service in any interior. Our retro and vintage furniture is made in our very own factory in China. Thanks to that, we cannot only offer you the best quality, but also the best price! Your guests will enjoy their American dinner as they never have before as they comfortably sit on a retro chair, sofa or bar stool. 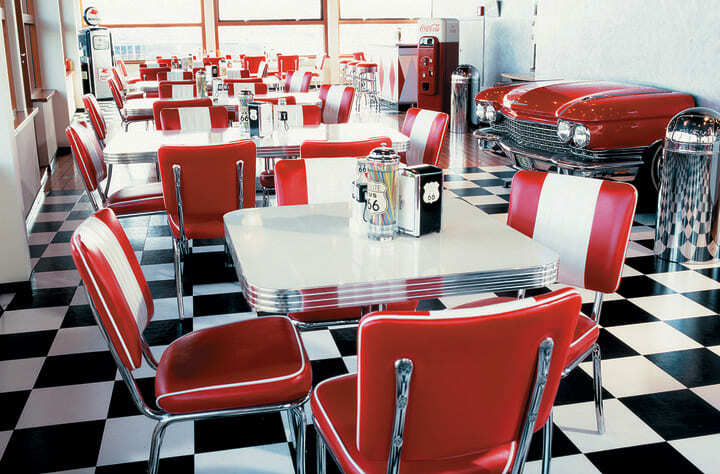 The fifties look of the furniture inspires a true fifties atmosphere. Looking for an outlet in your area to buy your retro furniture? Enter your address and find the closest outlet on the map! In order to provide every restaurant with the most splendid Bel Air furniture, we have a large network of retailers spread throughout Europe. Together with our dealers in the home and interior sector, we are making the American fifties style even more popular. Are you looking to give your customers in your store or web shop a unique fifties experience? 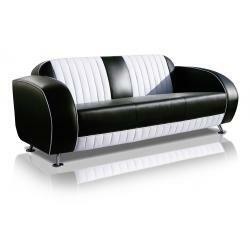 Become a dealer and expand your range with our popular retro furniture. With our drop shipment service there is no need for you to deliver or stock the furniture yourself – we do it for you! 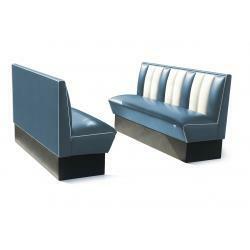 Our retro furniture has been specifically designed to be combined with each other. Here you can see how combining within our assortment will give it a vintage look. Jolina Products has grown to become the largest manufacturer of fifties style vintage furniture in Europe, the Middle East and Russia in the past forty years. The stylish vintage furniture of Jolina Products is available at retailers throughout all of Europe. So you can be sure there is always a sales point nearby.